Noboribetsu Onsen — One of the best Onsen areas in Hokkaido, which is consistently at the top of the rankings for the best Onsen areas in Japan! 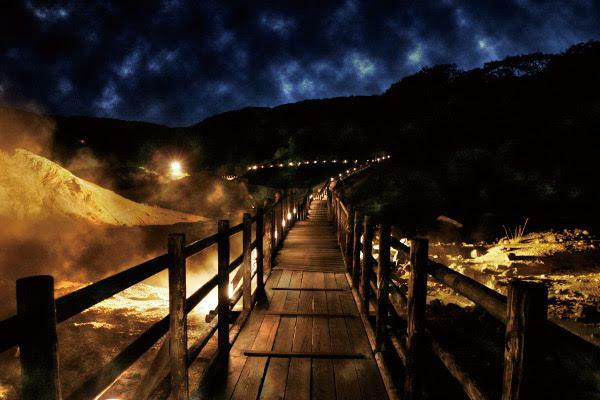 This area offers historical, high-quality Onsen and gourmet foods unique to Hokkaido. 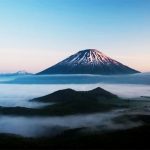 You can’t miss its natural areas packed with the unique characteristics of Hokkaido! 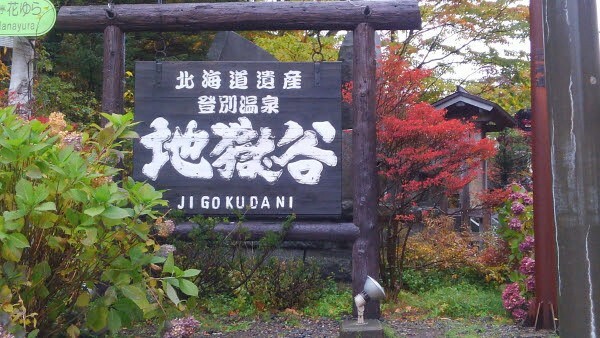 In particular, Jigokudani is a must-see spot in Noboribetsu. 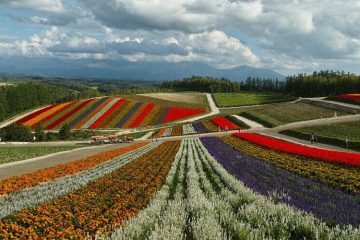 You can enjoy the dynamic natural scenery, which is characteristic of Hokkaido. You can find how to enjoy Noboribetsu/Jigokudani here! 1. What is Jigokudani in Noboribetsu? 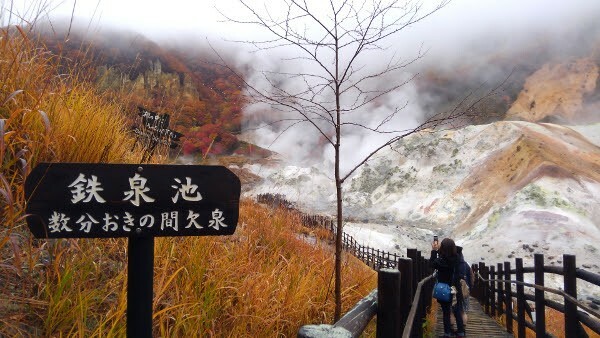 Noboribetsu Onsen generates 10,000 tons (≒22,040,000 lbs) per day of naturally flowing hot water. It is referred to as the “Department Store of Onsen” for its wide variety of water types. 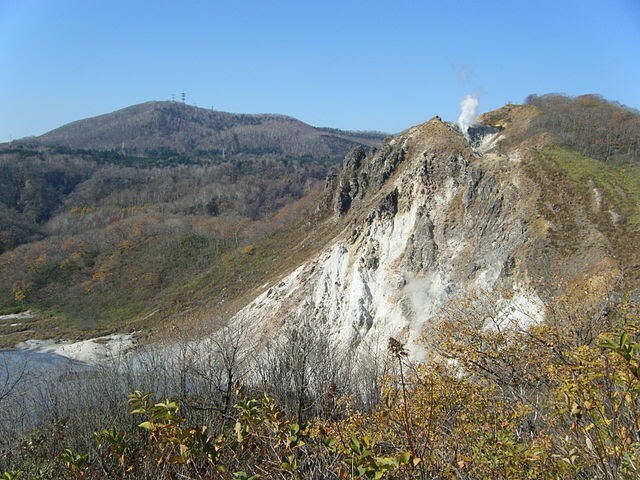 Hiyoriyama, an active volcano, is located 2.8km (≒1.74 mi) from Noboribetsu Onsen town. 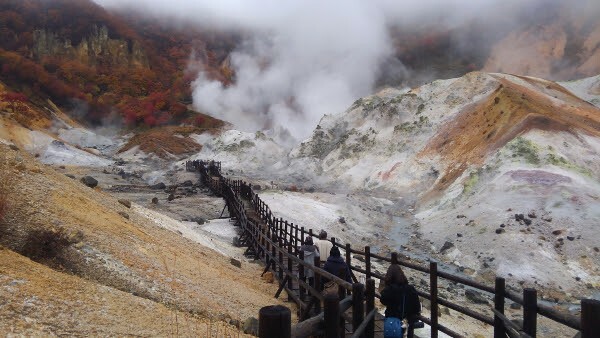 The Onsen was created when this volcano erupted. The origin of the hot water can be found in the Onsen town. 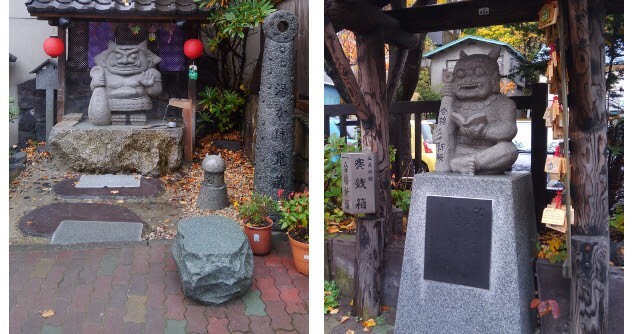 And, “Jigokudani” is the large source of the spring at the end of the Onsen town. 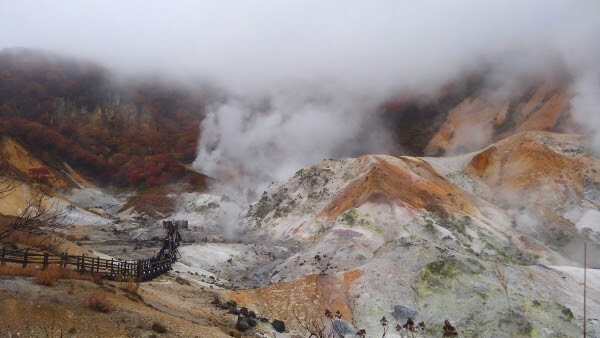 Jigokudani is a cluster of erupting geysers, encompassing approximately an area of 11ha with a diameter of 450m (≒0.27 mi). 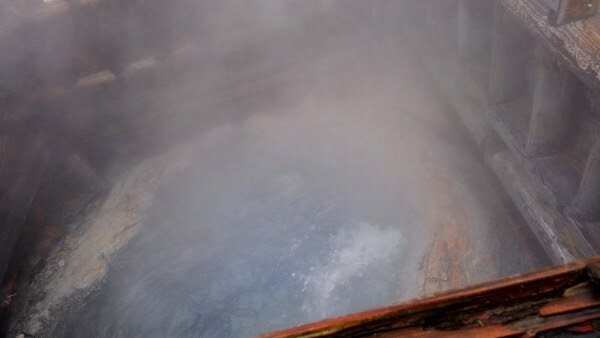 It has numerous vents where hot water and steam escape, so it is very hot and difficult to directly step into the area. 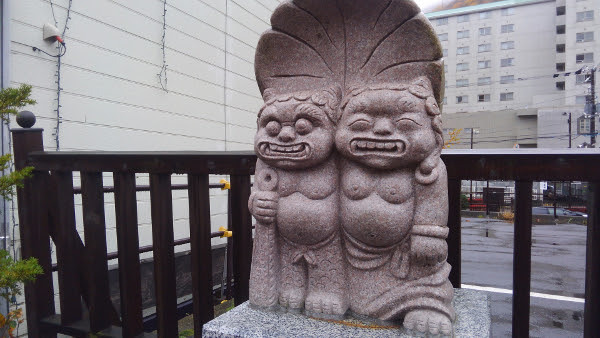 It got its name, “Jigokudani,”from the fact that it conjures up an image of Hell. 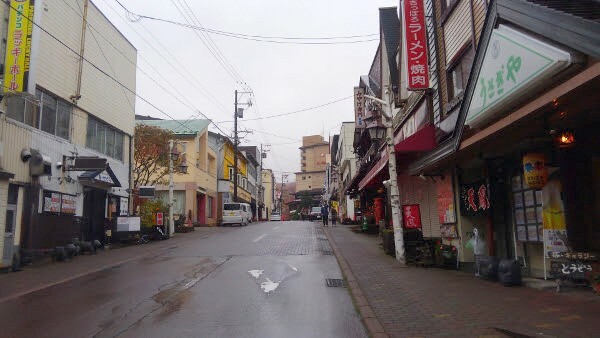 Conveniently, there is a single road connecting the Onsen town and Jigokudani. 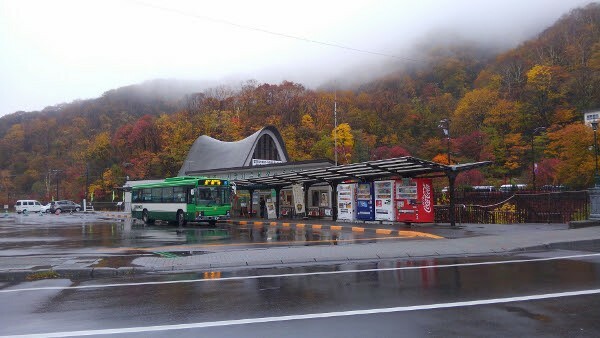 Here is an example of a departure from the Noboribetsu Onsen bus terminal. The smell of sulfur gradually intensifies as you enjoy the lovely demons. Stop by the souvenir shops, and make your way down the shopping street. 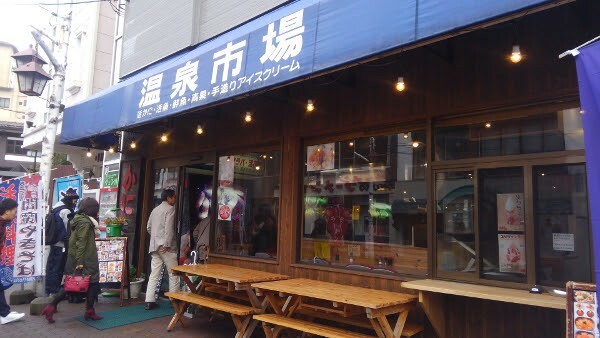 A large sign appears as soon as you exit the Gokuraku Dori Shopping Street. 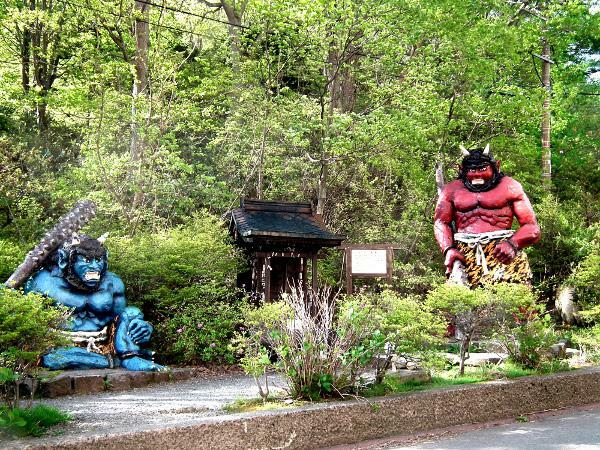 Large red and blue demons welcome you at Onibokora, a popular photo spot in Noboribetsu! It’s about 700 m(≒0.43 mi), a 10-minute walk to get here. 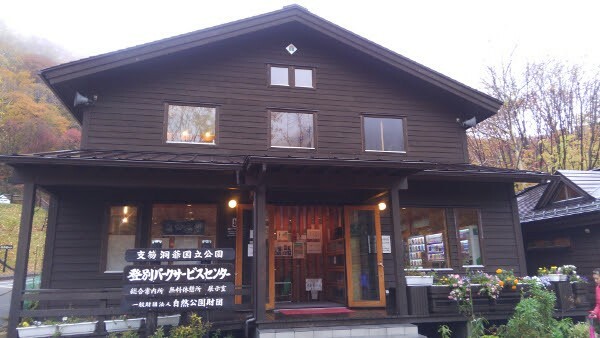 You can get here in 5-10 minutes from the lodging facilities in the Onsen town. Now you have arrived at the entrance to Jigokudani. 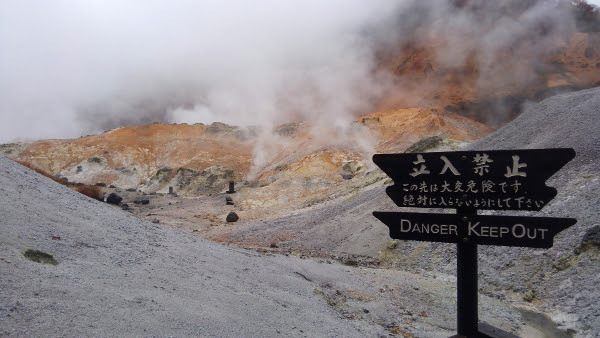 Here, sulfur smell is much more intense than in Onsen Town. This center offers a unique service rarely offered at other tourist areas. It is a free rain boot rental service. The sturdy rain boots can also be used on snow. Additionally, you can rent umbrellas here. 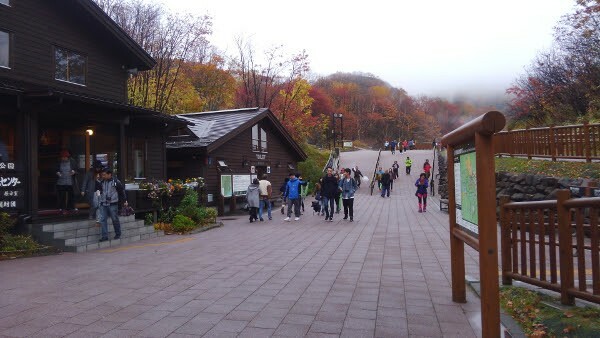 This is a great service, allowing the visitors to enjoy Jigokudani even in slippery conditions such as rain or snow. 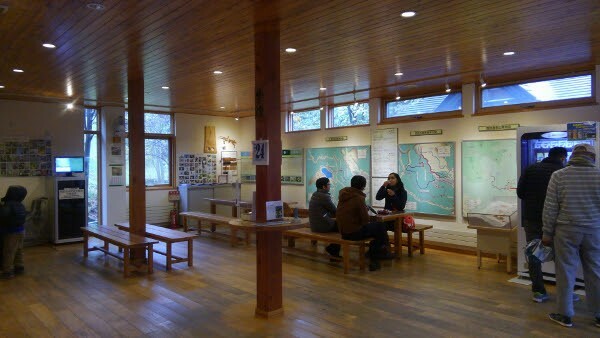 Inside the center, you will find displays and resources about Noboribetsu Onsen, its nature and origins. 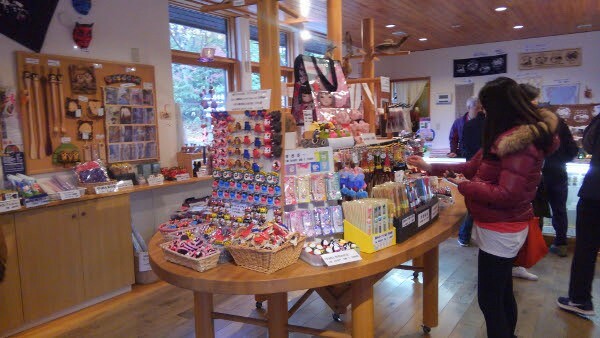 You can obtain sightseeing brochures for Jigokudani here. 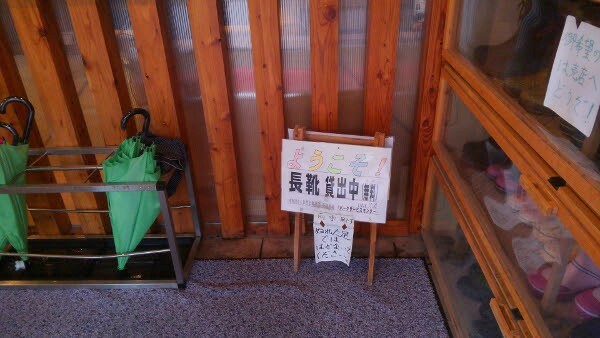 The center has a small shop. 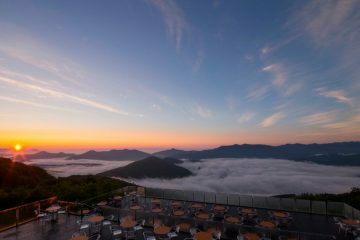 You can buy drinks, snacks, and various souvenirs including natural bath flowers from Noboribetsu Onsen and original towels. There is a large bathroom facility next to the service center. You might want to stop here before going to explore Jigokudani. 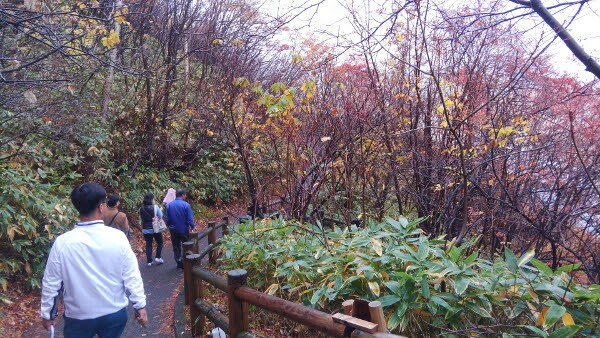 There are several hiking routes, but we tried the easiest Jigokudani walking path this time. 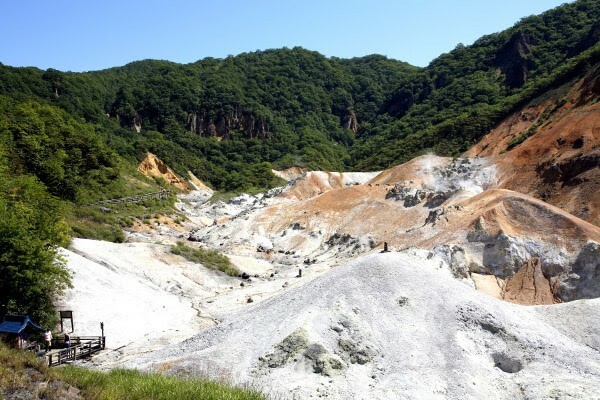 You can complete this hike of 568 m(≒0.35 mi) in about 10 minutes. 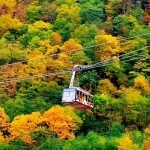 The elevation increases gradually, so it is enjoyable for people at any level of physical fitness. As you go through the trees, you will be able to see the scenery little by little. Eventually, along with the smoke, you will see the brown and gray exposed rock surface of the valley. If you listen carefully as you walk, you will hear the sound of bubbling water. You will eventually see the observation deck in the distance. Keep going straight on the deck, and head toward the center of Jigokudani. The river of hot water running right by you and the sulfur-smelling steam rising from all around really makes this place seem like hell. You will find many “Do Not Enter” signs along the way. The boiling water at this geyser is overwhelming. Many people stand here, watching and forgetting about time. 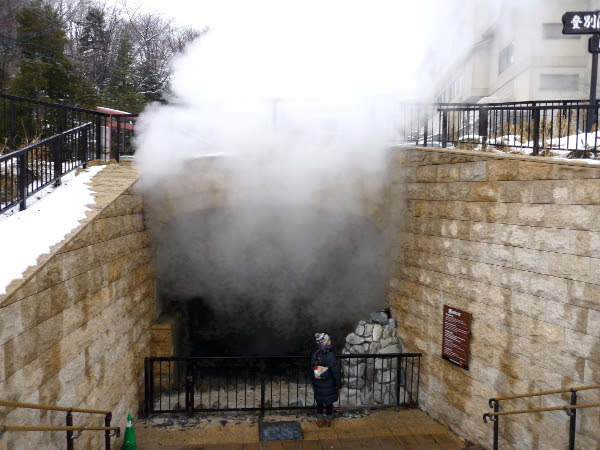 Although it’s a little scary, the hot water that emerges from Jigokudani feeds the baths at hotels and inns in the Onsen town. And, it satisfies the tourists. Now, we introduce gourmet foods and souvenirs that are likely to become popular in Noboribetsu Onsen. 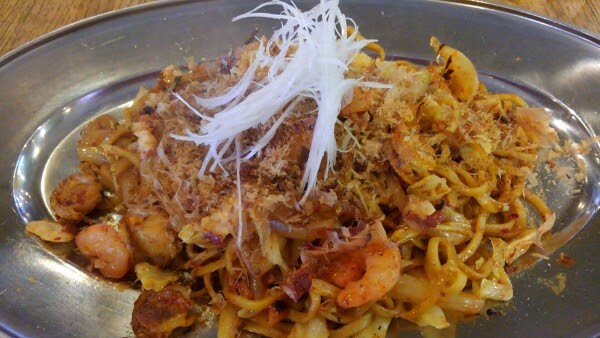 This is the local gourmet food “Noboribetsu Enma Yakisoba” . About 30 restaurants in Noboribetsu City offer their unique take on this dish! The picture above is yakisoba with plenty of seafood (including scallops and squid) and vegetables JPN 980 YEN(≒USD 8.92). It has just the right amount of spiciness, and the subtle sweetness of the sauce and the sesame seed aroma increased my appetite. It was so delicious that it was gone in no time! This is a must-try dish when you visit Noboribetsu. If you would like to know more about Enma Yakisoba, please refer to the official website. Please click the map above! Next recommendation is ‘BANANA LEAF. 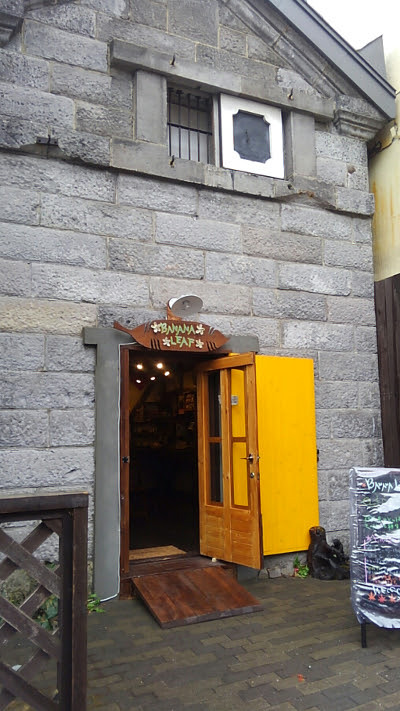 It is a stylish accessory shop in an old stone building, decorated in a tropical theme. 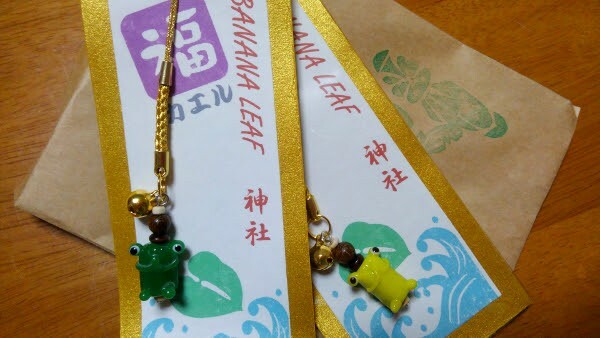 A “Fuku Kaeru,”a charm with praying frogs! The frogs are so cute! Each one is JPN 700 YEN(≒USD 6.35). It is the perfect souvenir to wish good fortune for someone who is important to you. 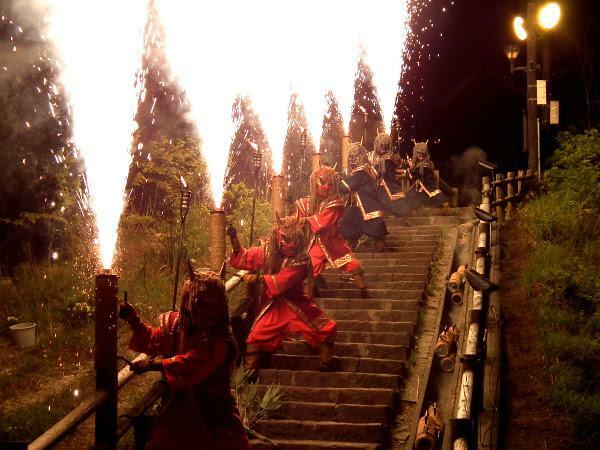 Moreover, it hosts a variety of events throughout the year including the “Noboribetsu Jigoku Matsuri”in the summer, and the “Noboribetsu Onsen Hot Spring Festival” in the winter. 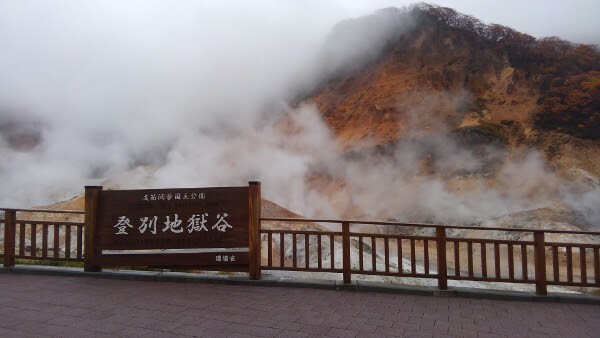 Noboribetsu Onsen and Jigokudani are located in an area of Hokkaido that receives a relatively low level of snowfall. 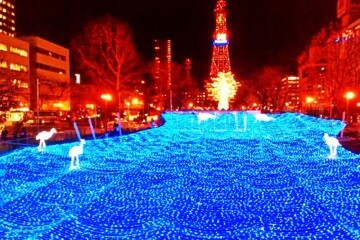 They can both be accessed within 1 hour from Shin-Chitose Airport. Regardless of the season, you can easily come visit whenever you are in the mood. 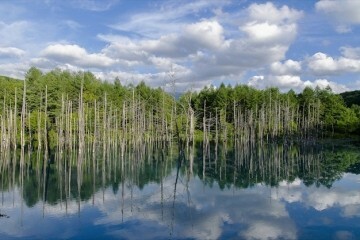 Please come enjoy the great natural wonders of Hokkaido! Such a Breathtaking Views! 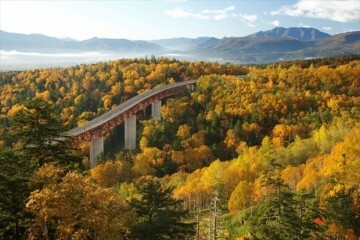 10 Best Autumn-leaves Spots in Hokkaido! 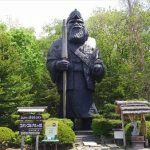 Sightseeing in Tokachi – Recommended Spots, Onsens, and Gourmets!